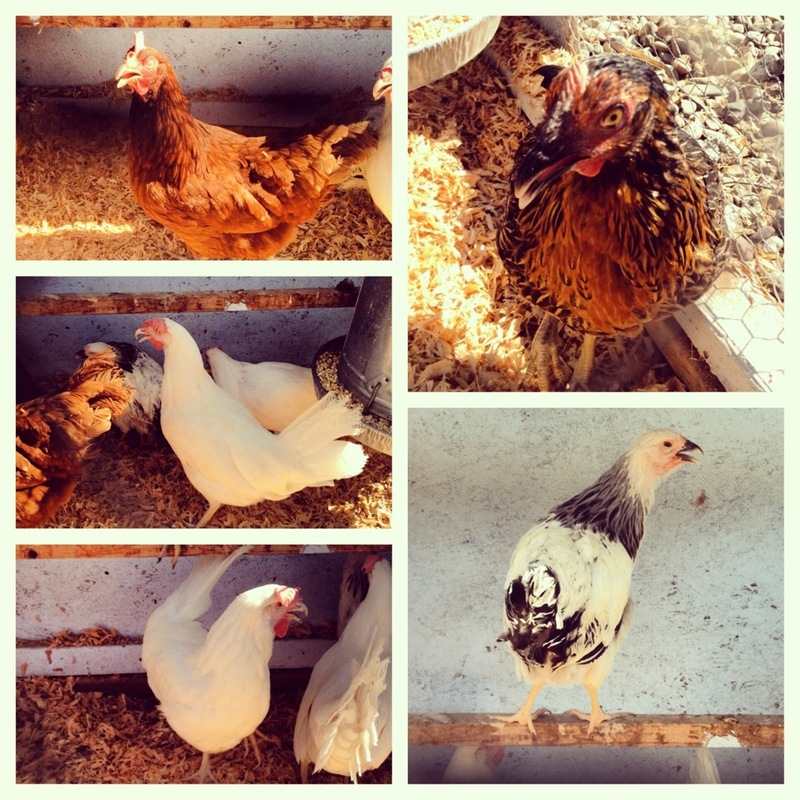 I’m getting more and more into (the theory and dream) of homesteading and off the grid living. 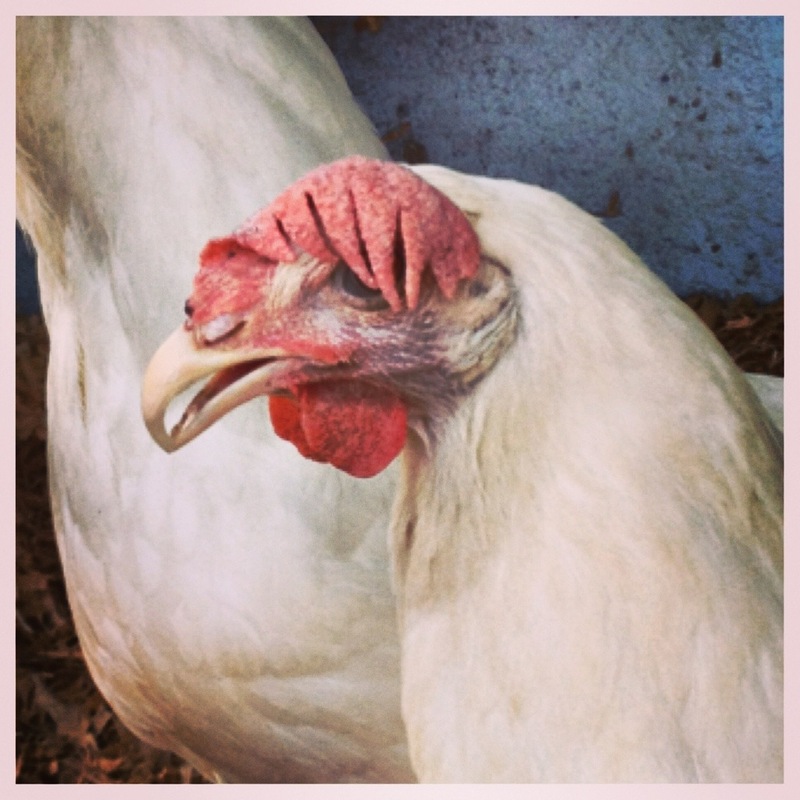 And the more I read and follow blogs, it almost seems as though this is the beginning of an underground movements of this decades “F the man.” The pepole I’m running in to are tattooed, pierced, rockabilly, punk rock….chicken farmers. It’s like the way to fight societies rules, now-a-day, is to raise your own food, produce your own power, and work your own land. Maybe it’s a coincidence. Maybe the people I grew up with, and got tattooed with, are now old enough, and in a financial position, to do so. But personally, i think I’m on to something here. There seems to be a throw back to late 1800’s early 1900’s independence. 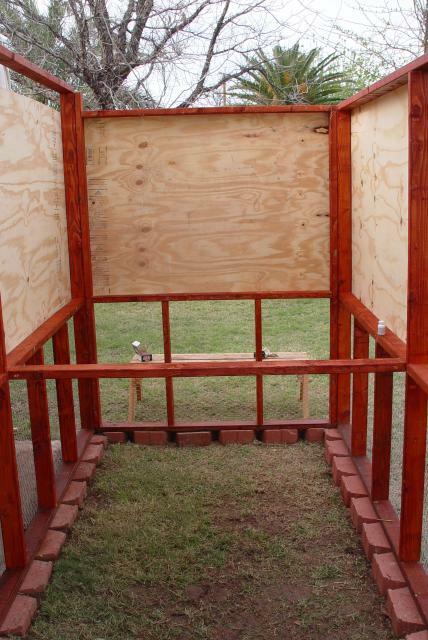 And on that note, I helped my friend Joel build a chicken coop. Oh..not just some rinky dink little back yard cage. 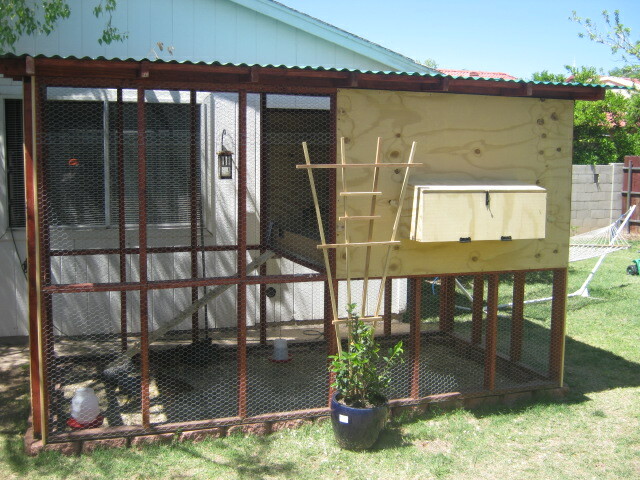 I’m talking a full on, walk in, chicken chook condo. 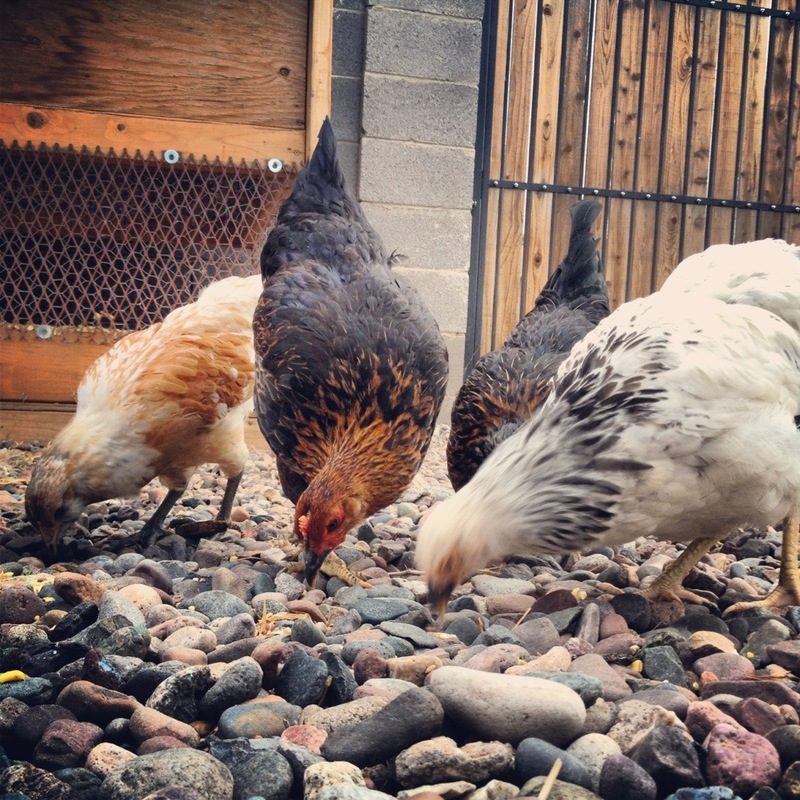 Joel picked up a half dozen chicks back in February. 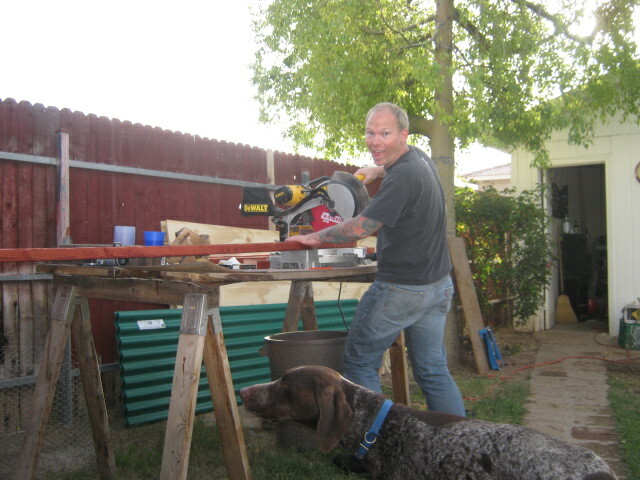 They’ve been living in a dog kennel in his work room in the back yard. 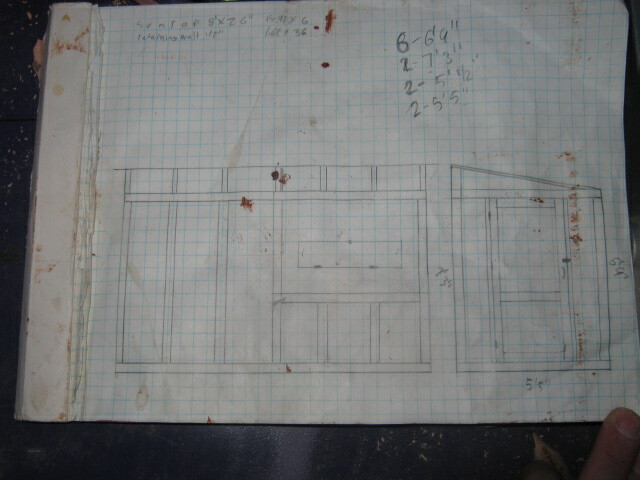 Joel started coming up with plans and designs. Finally the day came. He made a run to Home Depot, and called me to come over. 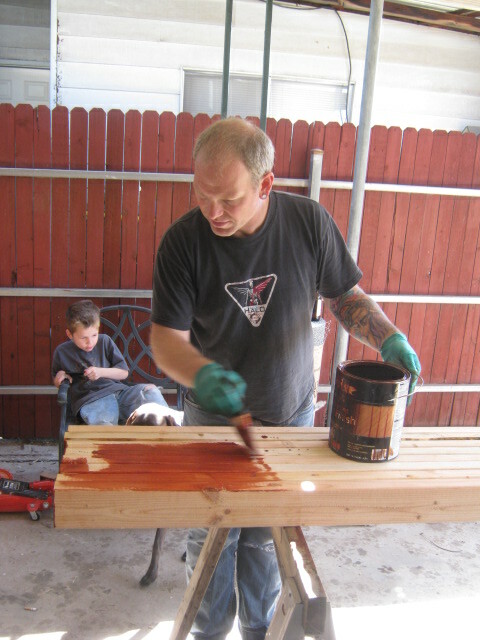 When I arrived, Joel was busy staining the wood, and sealing it. 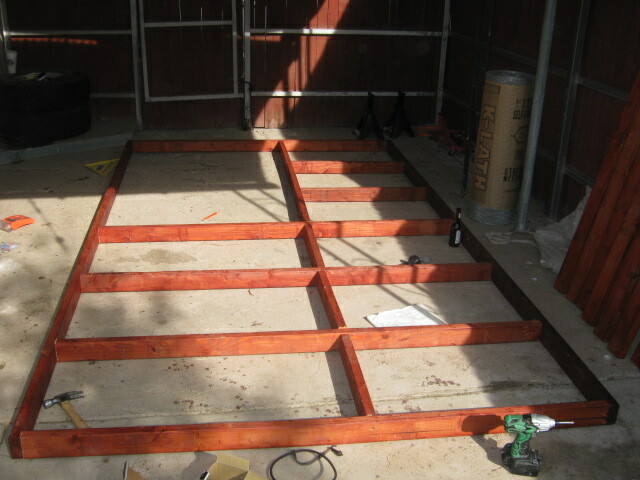 We started by framing out the sides. 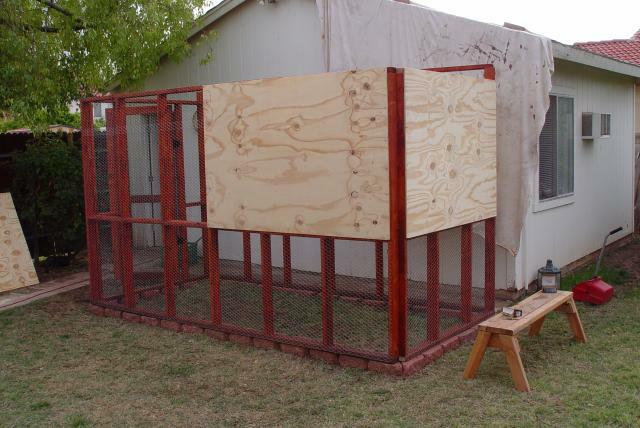 3/4 of it will be covered with chicken wire, and 1/4 will be the plywood sleeping area. 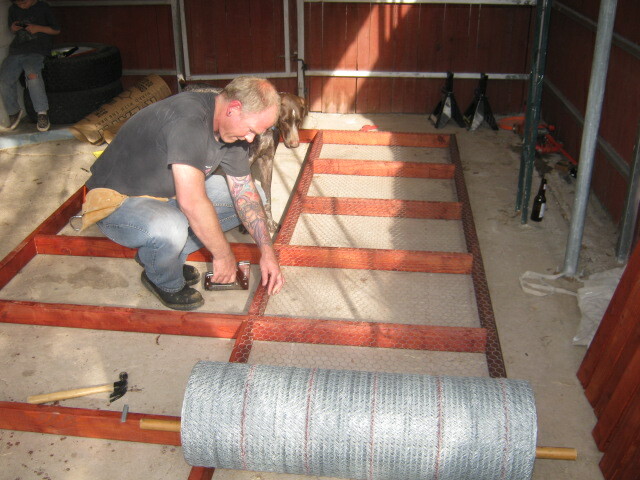 After the sides were assembled, we stapled the chicken wire over the open areas. Joel framed out the door and the 4th wall after I left. I returned the next day and we put up the 4 walls. 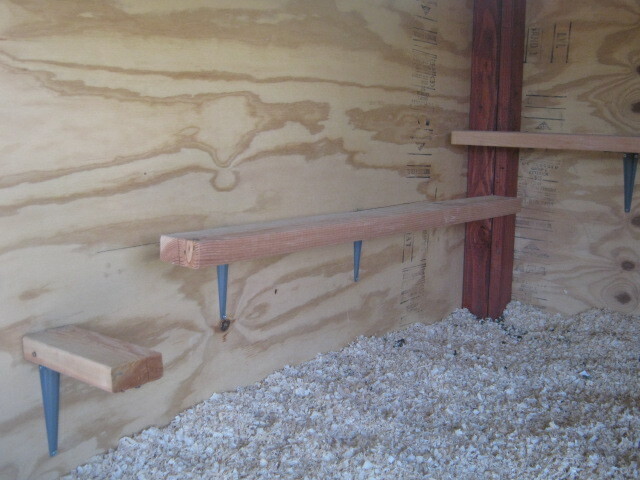 Once the walls were up, we screwed on the plywood for the sleeping area. 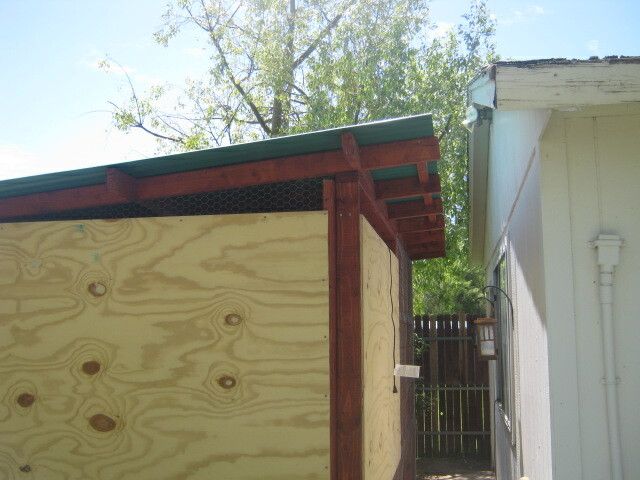 One of the side walls is 6 inches higher than the other, to allow for drainage. One of the first ideas we tossed around was a green roof. Maybe an herb garden. Or some kind of vine that the chooks could actually eat. But due to the size, he decided to stick with something more traditional. 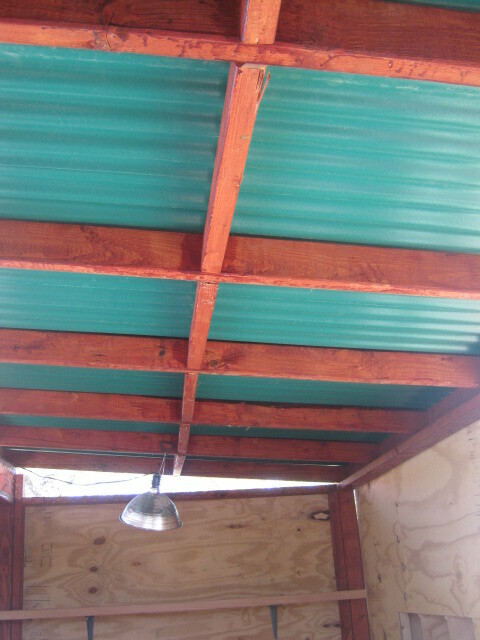 The roof has beam going in each direction for support. 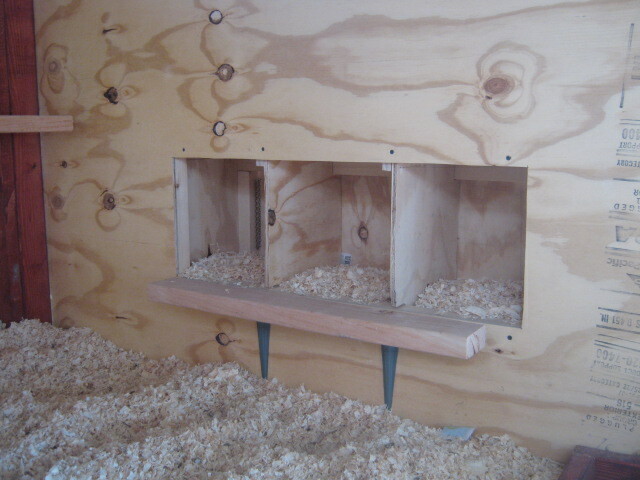 Then, the inside of the residence was finished. 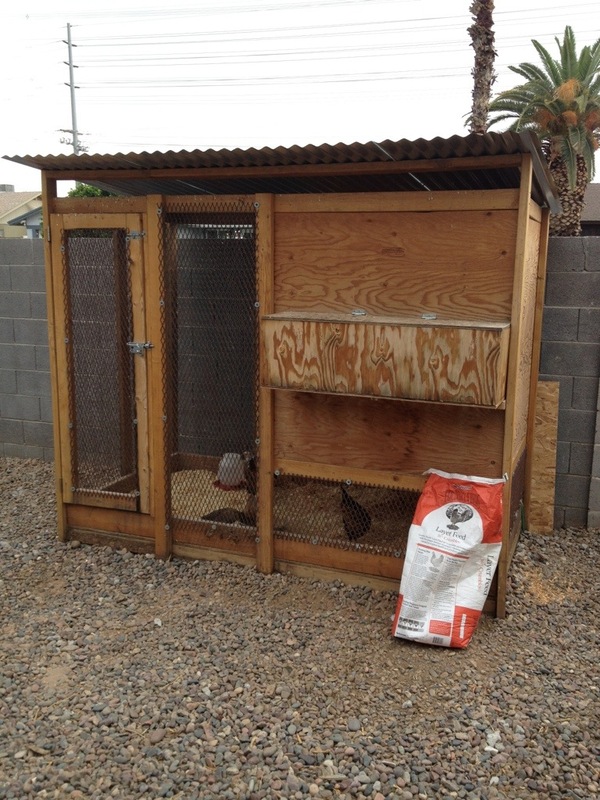 A couple of roosts on one side. 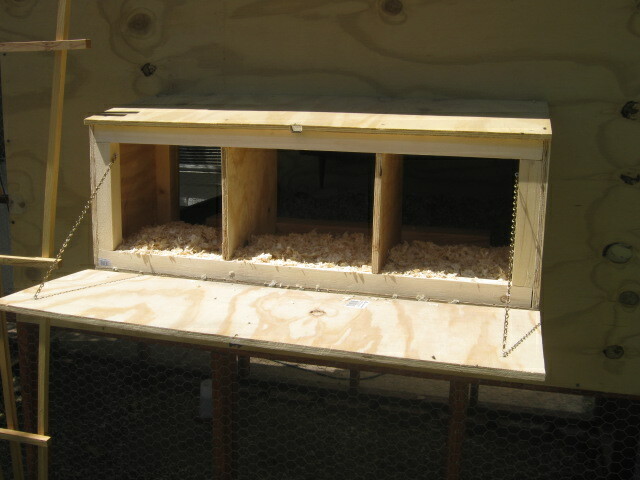 And the egg box on the other. 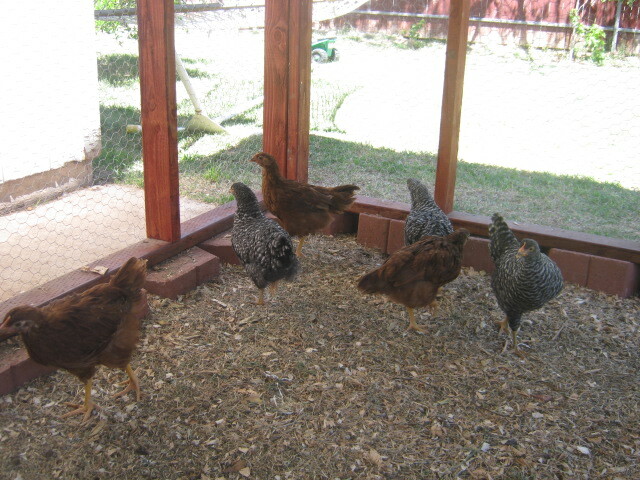 The area under the coop got a nice layer of bedding. 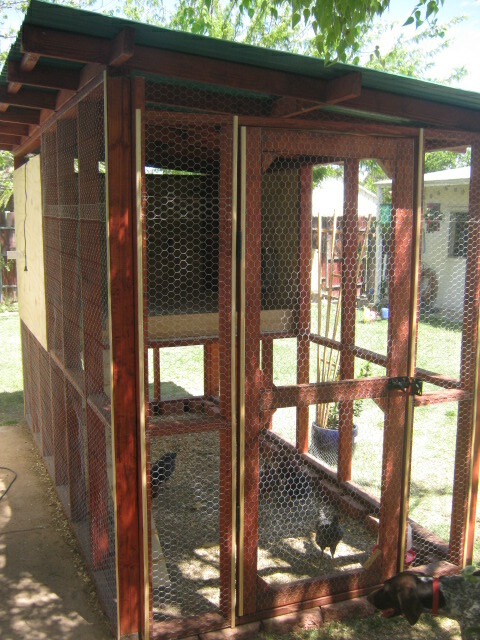 The outside of the coop looks even better than the inside. The egg box. Accessible from the outside. I think it looks amazing. 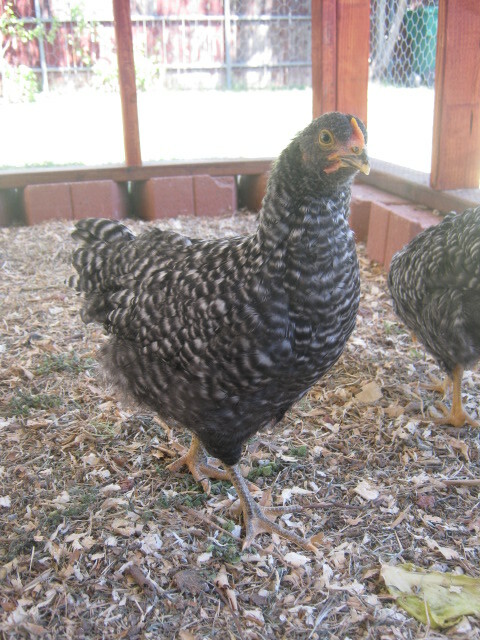 I can’t have chickens where I’m at right now, so I’m living, partially at least, through Joel. 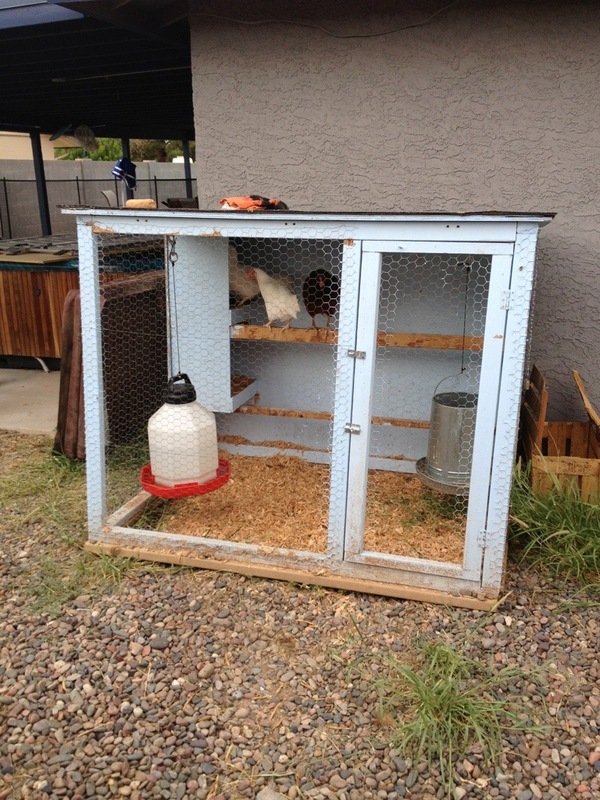 I think any chook would be lucky to live in this 12′ x 6′ x 7′ luxury condo. 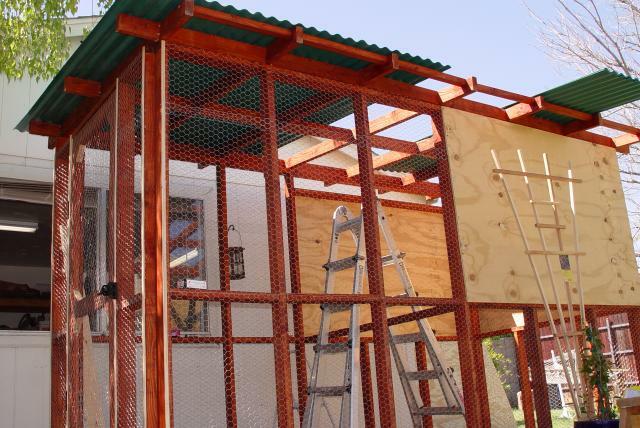 And beyond the independence of raising his own chickens, and getting is own eggs, I got to share int he experience of building your own building. And that carries it’s own satisfaction with it. I’ll touch more on the topic in the future.